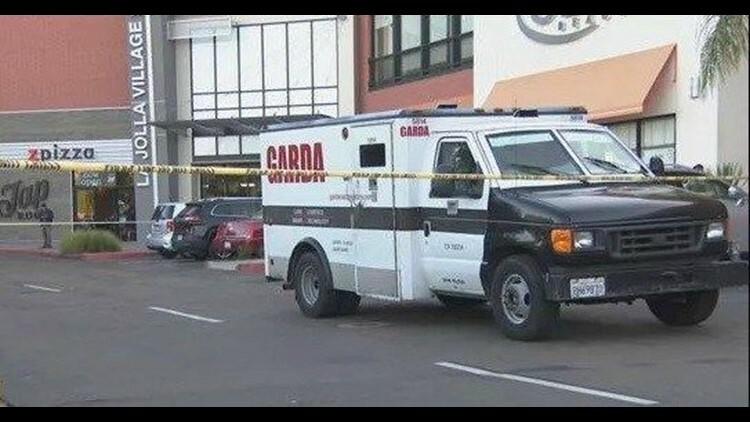 A 30-year-old woman was struck by an armored truck and killed Tuesday in the parking lot of a La Jolla shopping center. SAN DIEGO (CNS) - A San Diego woman was meeting her boyfriend on her 22nd birthday when she was struck, dragged and fatally injured by an armored truck at a La Jolla Village shopping center, authorities said Wednesday. Mikaela Jones had just parked her car and was walking toward her boyfriend, who was standing across the street, when she was hit by the armored truck about 5 p.m. Tuesday in the parking lot at the La Jolla Village Square in the 8600 block of Villa La Jolla, according to police and the San Diego County Medical Examiner's Office. "The driver of a Garda armored vehicle was in the mall making its rounds," San Diego police Officer John Buttle said. "The driver came around a corner, didn't see the victim standing in the street and ran her over." Jones, whose 22nd birthday was Tuesday, was taken to nearby Scripps Memorial Hospital in La Jolla, but "despite lifesaving efforts, she could not be resuscitated and her death was pronounced" at 6:30 p.m., the medical examiner's office said. The driver of the armored truck, whose name was not released, remained at the scene and was cooperative with the investigation, Buttle said. Alcohol was not suspected as a factor in the collision. The San Diego Police Department's traffic division was investigating the accident.